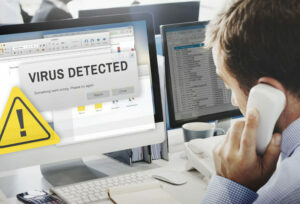 Metamorphic virus is one of the deadliest malware out there that can alter codes on its own. Here’s how it works. Even as the antivirus laboratories keep detecting firmware to mitigate the damage caused by malware, those involved in creating the malware appear to be a few steps ahead. This is not very different from any crime in the world; the criminals manage to find ways to commit crimes even before the law enforcement agencies can investigate and solve the previous one. In the cybercrime world, the one deadly malware being talked about now is the metamorphic virus. It is dangerous because it has some additional capabilities to remain undetected by the normal antivirus software programs. They are capable of rewriting their codes and change their nature even after being embedded inside the target system. There is no doubt that the people who are operating this malware are quite knowledgeable and resourceful. To understand the way this new deadly virus infects a system, it is essential to learn a few terminologies associated with it. Any virus comes with what is known as a virus decryption routine or VDR. It is this pre-programmed routine that enables the encrypting of the virus body and the process of executing the tasks it has been written to accomplish. 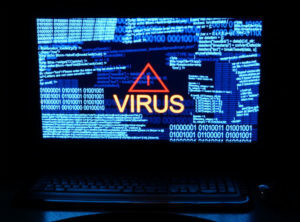 Since the VDR of the virus does not change its constitution—although the virus may multiply and spread within the affected system—an effective antivirus software is capable of detecting, isolating and eliminating it. 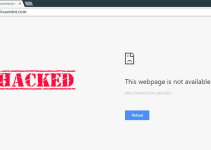 A slightly advanced version of the virus, called polymorphic virus, goes a step further and comes with a component the trade calls a mutation engine. This mutation engine, or simply ME, is armed with the ability to prevent detection through obfuscation and other highly technological means. But, as indicated above, the labs working on creating antivirus software or firmware have found ways to detect these polymorphic viruses. In the case of metamorphic virus, however, it has gone a step further; the ME in the malware can completely alter the original composition or the code written into it of its own and defy the antivirus from detecting it. 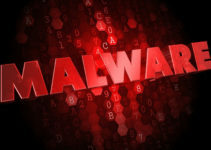 This advancement in cybercrime of creating a self-editing malware is what is now concerning the cybersecurity experts, and they will have to come up with an effective solution sooner rather than later. There may still be many different types of this difficult-to-detect malware in circulation. But a couple of them were notable since they did get detected and experts could study them. One of them is named Zmist and is said to have originated from Russia. More recently, another metamorphic virus called Virlock was located. Interestingly, researchers found that the malware had a unique code generated that could assign different codes to the viruses within the shell and become extremely difficult to detect. Loss of data is one important threat a metamorphic virus carries, and it can go on to make the system it has penetrated vulnerable to more cyberattacks. The defense system could crash, leaving the user virtually helpless. 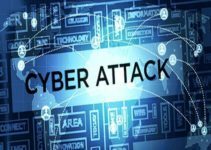 It has been found that the perpetrators of the cyberattacks using the metamorphic virus usually try and steal data at corporate levels and resort to extortion, requesting a ransom for releasing the stolen data. Despite the scare the metamorphic malware has created among system administrators, it is not such a completely helpless situation. There has been a lot of research work undertaken in universities and by private laboratories and a lot of literature has been put out for the experts in the field to study and design their system architecture to avert an attack by the metamorphic virus. But before any of these latest technologies are applied, there are some basic do’s that every system administrator must keep in mind and follow to protect their systems from cyberattacks. One of the key measures is to not permit remote access of the system to any of the executives. Exigencies of work may demand such requirements, but files of that nature should be stored in the cloud and not accessed from the physical network. The rest of the rules remain the same—installing an effective antivirus software, updating the program regularly, and so on.